• What is Incredibox ? 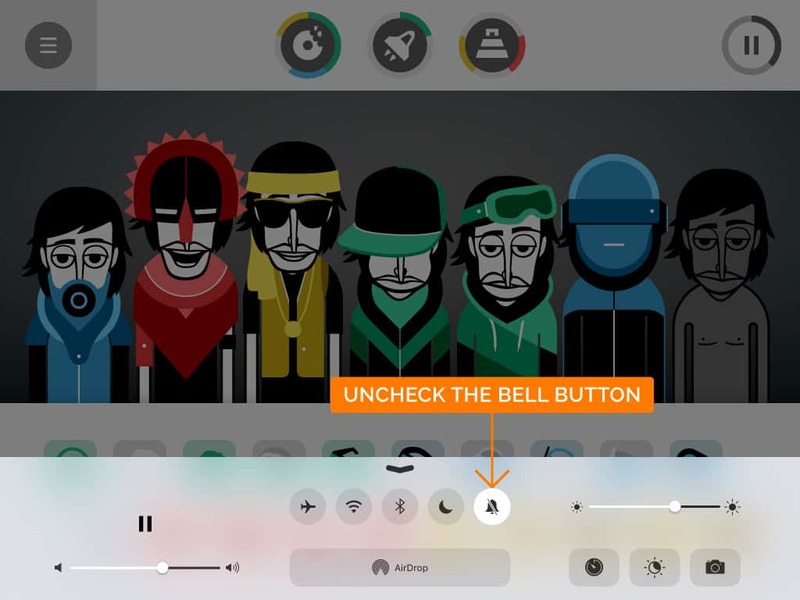 Incredibox is a music app for creating your own music with the help of a merry crew of beatboxers. Part game, part tool, Incredibox is above all an audio and visual experience that introduces kids and adults to notions of rhythm and melody - in double-quick time! - Drag and drop icons onto the avatars to make them sing and start to compose your own music. - Find the right sound combos to unlock animated choruses that will enhance your tune. - Once your composition sounds great, just save it and you will get a link to your mix. You can easily share it with anybody so they can listen and even vote for it. - If you share your mix a lot and get enough votes from other users, you may go down in Incredibox history by joining the Top 50 chart. • At what age can I play Incredibox? At all ages! Incredibox is even used by music teachers who use it in schools all over the world to introduce rhythm and music mechanisms to children. The app has been rewarded by the AASL (American Association of School Librarians) in the category of the Best Apps 2018 for Teaching & Learning. Also, Incredibox got the PEGI 3 certification on the Google Play Store. • Who is behind Incredibox? We are 3 creators on this project, Allan DURAND (Director, code & animation), Romain DELAMBILY (Design & illustration) and Paul MALBURET (Music & sound design). You can find more informations about our team by visiting our wesbiste SO FAR SO GOOD. • Who produce the music on Incredibox? It’s Paul MALBURET a.k.a Incredible Polo! You can find more informations about him and listen his last sounds by visiting his personnal Bandcamp. • On which platforms can I play Incredibox? • Does the game need to be connected to internet to run? - On your computer you need an internet connection to access the website. - In app, internet will only be necessary to access the Top 50 chart or to share your mixes. • What languages are available in the game? - The website is available in English. - The app has also been translated into French, Spanish, Portuguese, Italian, Russian, Chinese and Korean. • Can I download an audio file of my mix? To access this feature you have to get the full app. From you Mixlist, select your mix then click the “download” button so you could download it as a MP3 file. • I created a mix that I love, can I use it for my project? It depends of your project type! Commercial or not? The mix you've created/downloaded on Incredibox can only be use for private use, non-commercial and educationnal projects. To go straight to the point, if you are going to make money with your project you CAN NOT use your mix (eg: by selling albums, by displaying ads on your YouTube Channel, etc.). Incredibox is the property of the SO FAR SO GOOD company and all his content are covered by intellectual property rights (See #3 in the legal notices). • How can I be part of the Top 50 chart of Incredibox? The Top 50 chart of Incredibox is a ranking based on the number of votes for each mix. To be part of it is quite simple, you just have to share the link (URL) of your mix to get as much votes as possible. Good luck! • I noticed some inappropriate words in the Top 50, what should I do? We have set up a profanity filter to remove inappropriate words, but we can miss some of them. Please contact us specifying the words you have noticed and we will remove it ASAP. Thanks for your help! • Why am I forced to disable the AdBlock plugin to access your website? Without advertising-income we can't keep making Incredibox awesome! The displayed ads on the website cover our servers and maintenance costs et let us moving forward on the project. If you like to play with Incredibox for free online, be cool and disable your ad blocker! • Are you going to add more Incredibox versions on the website? Not fo now. The website is free and let you play with 4 full versions of Incredibox, you can see it as a demo of our concept, that you can try before purchasing the full game. If you want to access all versions of Incredibox, without any ads, with an improved gameplay and by storing all your mixes in one unique place, you just have to download the app for desktop, smartphone and tablet! By supporting the project you will allow us to create even more quality content ;) Download the Android app, download the iOS app or download the Mac OSX app, download the app for Windows. • Why the app isn’t free? The app is not free mostly because it contains more versions than the website and because the gameplay/experience has been improved. We wanted to propose you a quality product, without ads or microtransactions and containing exclusive versions that you won’t find on the website. You can check all app features here. Unfortunately no, Android, iOS, OSX and Windows are different OS and there is no way to transfer a purchase from an OS to a different one. However, note that you can transfer the game on several devices on the same OS. We only refund apps that doesn’t works for technicals reasons. If you encounter an issue with the app, please first contact us and give us details, there’s probably a way to fix it! If we can’t resolve it, you may ask for a refund via your iTunes account history (for the iOS/OSX app) or via your Google account history (for the Android app). • I can’t see the characters! It’s probably because of your IOS version (8.x.x) and we are working on this issue. However, if you want to fix this as soon as possible, you can update the IOS software on you device ( Settings > General > Software update ). • No sound on my app! 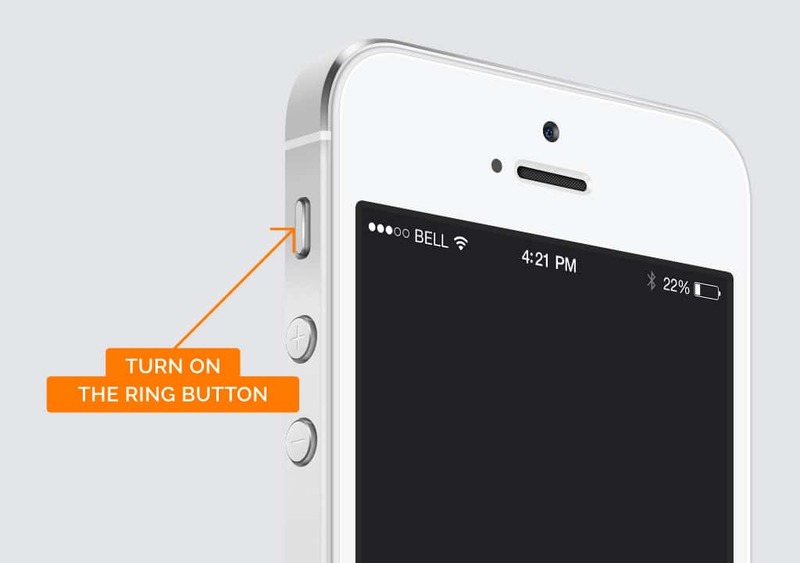 #1 Be sure that the ringing mode of your phone is turned ON. You can find this button on the side of your device. • Open the settings panel (finger swipe from bottom to top). • Check if the bell button is unchecked (see image below). 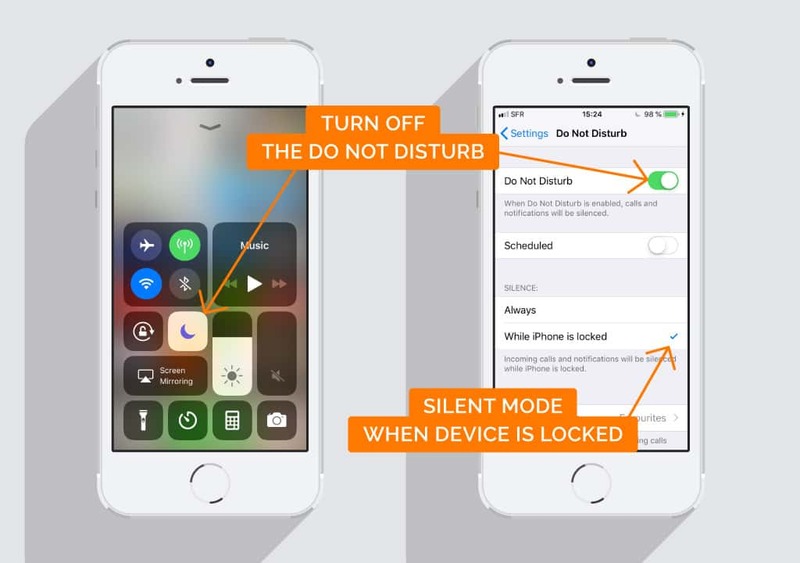 #3 Be sure the Do not disturb mode is turned OFF ( Settings > Do not disturb ). Also, be sure the sure the Silent mode is set on While device is locked. • Sometimes the characters seems laggy! This is annoying but it’s no big deal. This problem can appears when you leave the app for a while then come back without quitting it. The rendering process off the app can enter in conflict with many background tasks. The best to do in this case, is to force quitting the app then relaunch it. Voilà, fixed! • The app run really slowly on my iPad 2 / iPhone 4S! Yes, we know... Those devices starts to get old now, their performances are limited. The problem is that Apple don’t allow us to block the download of the app to some old devices. We can’t set this feature on the App Store dashboard. This is why we notified this problem in the description section of the app in the screen presentation on the App Store. If you want, you can get refund of your app via your iTunes account history. • As a teacher, can I benefit from a group rate to offer the app to my students? • The app freeze on a white screen after launch! To run the app on Android you need to be at least on the Android version 5.0 (Lollipop). If your Android version is lower than 5.0, the app couldn’t works. Try to launch an update of your Android version system from your device settings. If you can’t go higher than Android 4.4 (Kitkat) and you have already bought the app, you can ask for a refund on the Play Store via your order history. Sorry for that! Update your Android version or ask for a refund. • My device is disconnected from bluetooth! The audio rendering process of the app can enter in conflict with bluetooth devices if they are connected (or paired) before the app launch. You have to wait after a version has been fully loaded. You can re-enable your bluetooth and pair your speakers again after a version has been loaded. • The app run really slowly on my device! This is probably because your device is struggling to run Incredibox due to lack of ressources or old hardware. You can try restarting it, uninstalling or stopping applications and services you don’t need, to free up processing power and RAM. • The app run really slowly on my Mac! We are working on this issue. If your Mac is older than 2011, then its performance may be limited. Unfortunately the Mac App Store does not allow us to refuse the download of the app on older Mac models. We can only filter downloads according to OS versions (10.9 Mavericks minimum). If you wish, you can ask for a refund through your iTunes account history. If you didn’ find the answer to your question, please use this form. Please note that we will only answer to precise and understandable requests, give us as much informations as possible about your problem and details about your OS name, version, device type, etc.